Here we go, again. For those who don’t buy Christmas gifts in July like a sensible person, the calendar has flipped to the days when time is running out to make gifting choices. But relax. Don’t panic. For those of you with people in your circle who are curious about cannabis products, there are many Christmas gift ideas. That also goes for those who actively use marijuana. You are just a few clicks away at this moment from a host of products that are perfect Christmas gift ideas. None of them require going out and buying cannabis. They include the following. This represents one of the best areas for gifts. CBD products are derived from cannabidiols, an active ingredient in marijuana that does not cause a high. In other words, it’s not psychoactive. That means even those who aren’t interested in “getting high” can benefit from cannabis products. And the benefits are many. 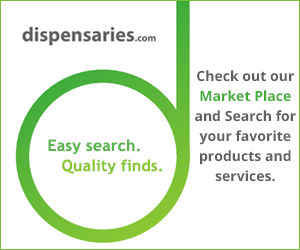 CBD products come in a variety of forms, including oils and balms. They also are infused into products such as water. CBD products are even available for pets. A host of companies offer CBD-infused treats that many believe can reduce stress and anxiety in animals. CBD products can also help the athletic person in your life. According to San Francisco-based trainer Zach Scioli, CBD products treat many issues associated with working out. He told Esquire that CBD products can treat inflammation, muscle soreness and also reduce stress. This is another area with a wide variety of options. They include products from Whoopi Goldberg. Her business, Whoopi & Maya, offers products to help women get through pain and soreness in connection with menstrual discomfort. They include bath soaks, edibles such as cannabis-infused cacao and body balm. Other topicals are beauty products that are used to improve skin conditions such as acne, rosacea, eczema and psoriasis. For someone who uses marijuana products, it helps to have the right gear. Many companies now offer a wide range of products that can help people store and discretely carry cannabis. Or buy a cool T-shirt. Companies such as Stash Logix offer bags, storage containers and cases that limit the odor of cannabis. They are the perfect gift for those who want to be discrete with their cannabis either at home or on the road. Vaporizers continue to rise in popularity. They offer those curious about cannabis a chance to try it without the irritation of harsh smoke. It also is known for providing the best experience in using cannabis. This is a high-end gift, but one that almost certainly will please. Vaporizers come in many different sizes and varieties. Also, cost ranges. Take the time to browse and find the one that suits your gift recipient’s needs while staying in your price range. The solution to your Christmas gift issues is just a few clicks away. So, don’t panic. There’s still plenty of time. Well, not that much. It’s a good idea to get clicking. ← Where Will Recreational Marijuana Become Legal Next?